From the ancient Mongol empire to the Manchurian Qing Dynasty, the people of North Asia have shaped the history of the world. 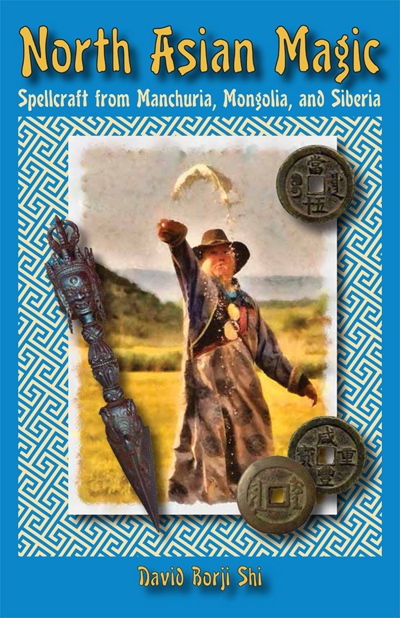 With an extraordinary range of beliefs and practices, both indigenous and influenced by their geographic neighbours, the Animist, Shamanic, and Buddhist folk magicians of Mongolia, Manchuria, and Eastern Siberia preserve a vital religio-magical practice by which people seek and obtain blessings, protection, luck, love, and health. David Borji Shi, an American of Manchurian heritage, brings us authentic spells and methodologies from this remote corner of the world, and teaches us how to use the tools and techniques of North Asian magic. This book will open your eyes to diverse cultural customs and spell-casting methods that you may never have known existed. David Borji Shi is an animist and spiritual worker who was raised in a household that incorporated both Southeast Siberian and North Chinese practices. As a scholar of global folk magic, David is a practitioner of hoodoo and conjure as well as the customs of his ancestors and greater Eurasia. He currently resides in New York City. Order North Asian Magic from the Lucky Mojo Curio Co.